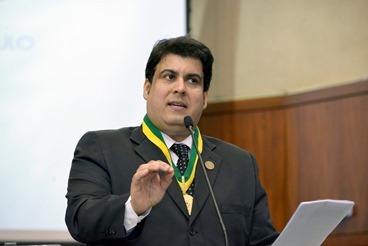 Last year Renato Lima de Oliveira was elected the 16th President General of the International St Vincent de Paul Society at the General Meeting in Rome. This year, his work will bring him to Australia, where Renato will see first-hand the work carried out by the Society and meet local Vincentians. Growing up in Brazil, Renato was involved with the Society from his early years, seeing the wonderful work carried out by members firsthand. “I started at the Society as a teenager in 1986 in Brazil when I was in high school. At that time, my only objective was to serve the poor. I found the Conference a sacred place where I could not only serve the poor, but also enhance my religious understandings. It was my best choice in my life to become a Vincentian. Renato is particularly interested in youth development and services that help children and young adults living in poverty or disadvantage – part of the early intervention philosophy of the Society. St Vincent de Paul Society NSW runs several programs and services for children in need. NSW State President Denis Walsh is looking forward to Renato’s visit saying, “The St Vincent de Paul Society in Australia is just one part of the larger international St Vincent de Paul family, with roots in 149 countries. Renato is part of the glue that holds us all together and helps us connect our worldwide goal – to give a hand up to those in need.